Looking for a cheap STCW as you are on a budget? 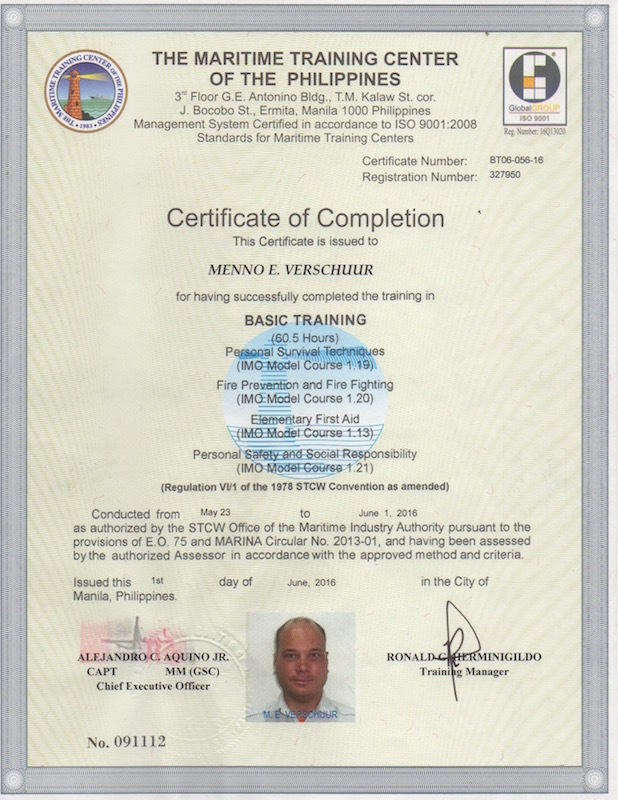 I just did my STCW2010 in May 2016 in the Philippines for 85 Euro (95 USD)! Read all about it in this post. As many in the diving business I’ve been thinking about getting my STCW (or STWC95, STCW2010) certification. STCW (Standards of Training, Certification and Watchkeeping for Seafarers) is usually a requirement if you want to work on cruise-ships, yachts or even some diving live-aboards. After working for a year as volunteer with Infinity Expedition I realised I loved the sailing lifestyle. To continue my career working on ships I knew getting my STCW would be a plus. However, as low (un)paid diving instructor I hesitated at the idea of investing 1.200 – 1.500 Euro in this course. Especially not knowing for sure that I would actually find a job where I needed it. When the ship was in Philippines (Cebu) for a while for maintenance, I started googling STCW training in the Philippines. 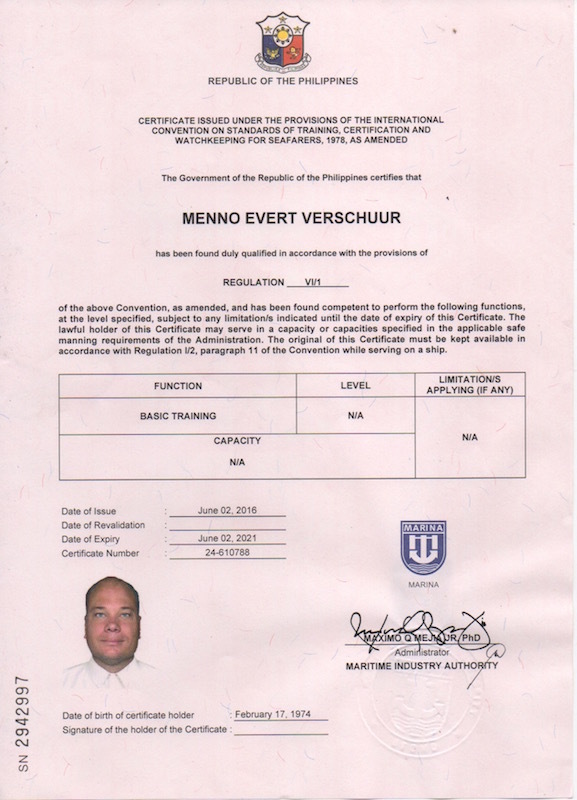 I found the website of ’engineer Lars’ describing him doing his STCW in Cebu at the amazing bargain price of 100 Euro. I contacted the University of Cebu to arrange this. Unfortunately no course dates matched my availability in Cebu. For more information on doing the STCW in Cebu, go to www.stcwpal.com as I believe ‘engineer Lars’ his original website is no longer online. As my ship was planned to be in Manila for a while, I started researching the available training centres there. 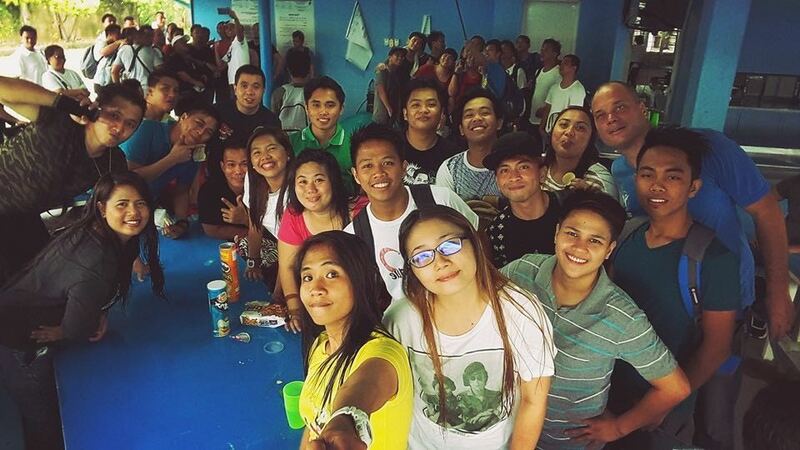 The STCW training is usually referred to as ‘Basic Training’ (BT) in the Philippines. 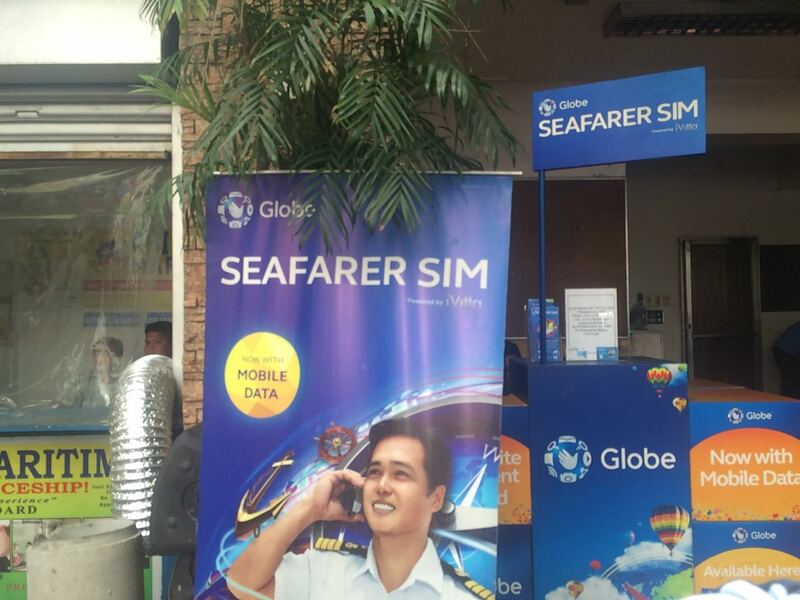 Following some Google searching it is clear there are many training centres in Manila offering this due to the large number of Philippino seafarers. I would recommend using the list of MARINA (the Philippines Maritime Industry Authority). They have an STCW Office with a reasonable up-to-date online list of accredited training centres and courses, look under ‘Approved Training Program’. 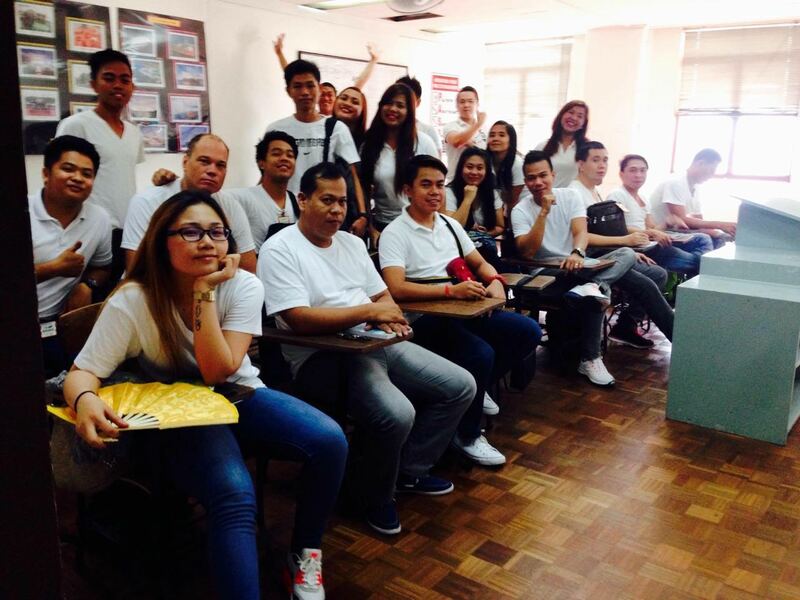 This training is popular with the many Philippinos who want to get into working as a seafarer. Therefore I would recommend reserving a spot for the training centre and date you prefer to avoid missing out. If you find it hard to get a response by e-mail from a training centre then I recommend looking on Facebook. Many centres publish their schedules on their Facebook site. Based on their prompt e-mail response and the fact that they had a course fitting exactly to my availability, I ended up reserving a course at ‘The Maritime Training Centre of The Philippines’ (TMTCP). This is one of the older training centres having been established in 1983. It is located on the corner of Kalaw and Bocobo streets in Manila. TMTCP has a STCW course starting every Monday and Wednesday. I can’t say much regarding quality of education of TMTCP as I have no comparison to others. But in terms of quality of the facilities there are some that appear a bit higher end than most. I would say Magsaysay Traning Centre (Facebook) looked the most ‘slick’ of all (A/C busses to the practical site! ), and Compass also looked good (I did another course at Compass). TMTCP was relatively basic in this context. Magsaysay is bit more expensive (by approx 30 Euro) but they may give discounts for ‘walk-ins’ as most centres seem to do this. This was a pretty simple procedure. Show up at least the day before the course at the office (closed on Sat/Sun). There I had to take care of some paperwork, photos and payment. It was all a pretty smooth process, you are just being sent from one window/desk to the next and in 45 minutes or so I was done. The medical (including ECG) was not done at enrollment but during the course. They do ask you to state that you are medical ok. This might be different at other centres where the medical is done at enrollment. I paid 4,500 pesos (about 85 Euro) for the course in cash. The course itself was conducted in a combination of English (as I was present as foreigner) and Tagalog (Philippine language). Most teachers were really good in teaching in English. Only 1 did virtually all in Tagalog which meant those classes I spend more reading the book by myself. We had 5-6 different teachers during the course. The quality of teachers was varied, most were really good and enthusiastic. Many are experienced sailors and combine the theory from the book with own experiences. On the other side, one did nothing more than reading out the slides. These were nothing more than a copy of the text of the book. So there the value over self-study was limited. Each theory section was followed by an exam, a 30 question multiple choice test in English. In the building we were required to wear long pants, closed shoes, and a white shirt with no big prints (and no tank-tops). The last day was the practical day at the training site. Here we did the fire exercises, and personal survival training. This was fun, albeit a bit of a ‘factory’ as I would estimate there were about 75-100 students there (several classes, refreshers, and make-up sessions). 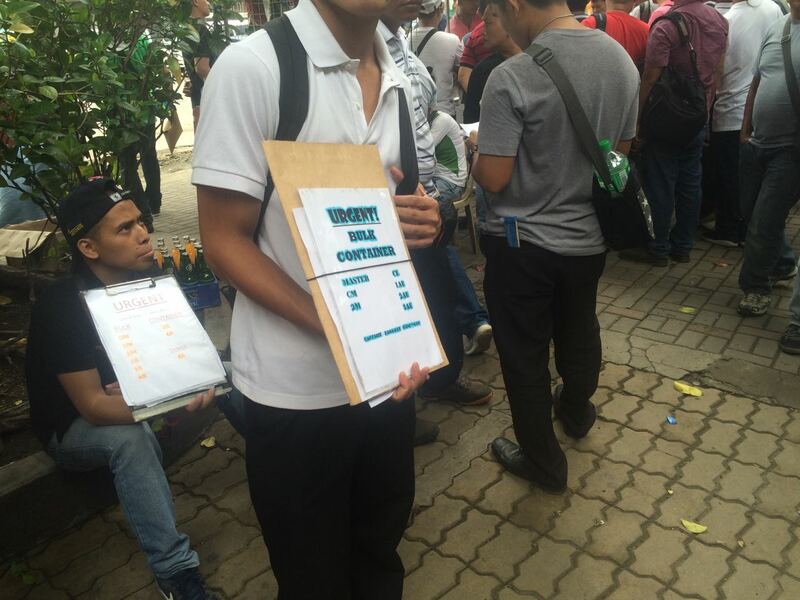 It was well organized however, as they are used to handling large numbers of students. For the practical day you’ll need an extra set of long pants, and long-sleeved shorts, and cotton gloves. The pants/shirt I bought at a secondhand store in the area for 100 pesos (2 Euro), the gloves from a salesman on the street for 20 pesos (40 ct). A Philippino travel blogger joined us for the practical day and made this clip for his blog. Most training centres are based in the Malate/Ermita area of Manila, as this ‘seafarers central’. Malate is not the nicest part of Manila. It is the entertainment are but with much of that in the form of being the red-light zone of Manila. I never felt unsafe, it is just a bit seedy but lively. You can read more about my experiences of surviving Malate. All of the training centres (as far as I know) have their practical site located outside of Manila. Therefore all the practical part of the training is bundled into one day (the last), and a bus is provided to get from the training centre to the practical site and back. This transfer can take up to 2 hours depending on traffic. On the site lunch was provided. Normally the Certificate of Completion (CoC) is available the day after completion of the training. You pick up the CoC from your training centre. I showed a plane ticket that I was flying out the next day and was able to pick up the CoC on the last day after coming back from the practical site. If you want to also get the Philippine Certificate of Proficiency (CoP) you have to do this at MARINA. The best way to do this is make an online appointment for the MARINA Intramuros branch office, and not the main office on Kalaw street. If you make the appointment from 1 pm onward, you can wait for your CoP as they will process it straight away in the afternoon (I was there for about 2 hours total). There is also an ‘expedite’ process (at extra cost) but in this way you do not need to use this ‘expedite’ process (status as of June 2016). As far as I know this ‘trick’ process only works for the Intramuros branch office. Intramuros is also the historical colonial district of Manila so you can combine this with some sightseeing in the morning. So be sure your training centre gives you all the necessary documents. At TMTCP I had to ask for the authenticated copies. They didn’t want to give me initially as they said that as non-philippino I couldn’t apply for the CoP at MARINA. Compass gave everything as a package straight away after my SSAT-SDSD course. Just for my own paperwork I also asked TMTCP for a copy of the MARINA letter demonstrating that TMTCP was an accredited training centre for STCW / Basic Training. They were a bit surprised by the request. But after explaining that I wanted to make sure I had as much supporting paperwork if I needed to demonstrate my STCW certification abroad they happily complied. 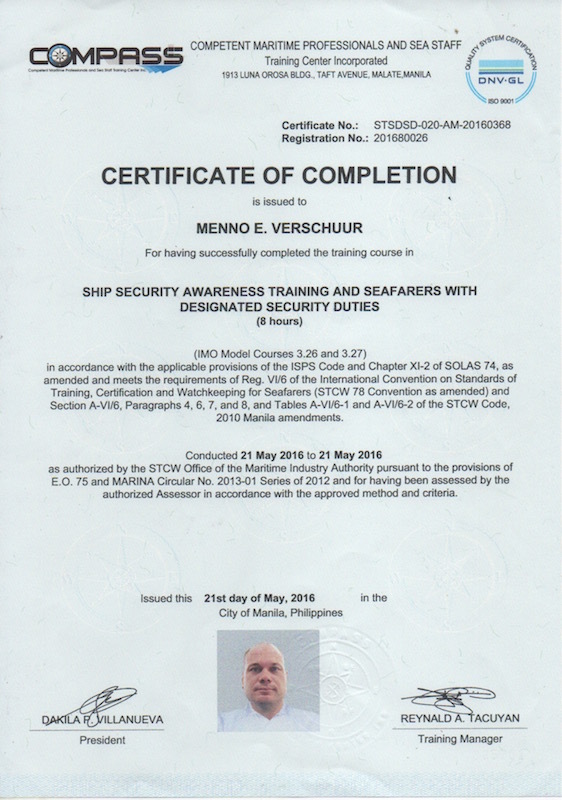 I also used being in Manila to do my SSAT-SDSD (Ship Security Awareness Training – Seafarers with Designated Security Duties). This is often required on bigger (> 500 tons) yachts. I did this at Compass training centre. It is a one-day course. The course was advertised for 1,500 pesos or so but was discounted to 600 pesos (12 Euro) when I walked in. Compass seems a somewhat more modern organised centre then TMTCP. This is based on the classroom, enrolment office and the way registration went, and the certificates were handed out. Again I can’t really compare on quality of training, only facilities and processes. I also did my ENG1 medical in Manila and following ‘engineer Lars’ his information. I did this at Clinicomed. It took large part of the day and cost me about 3,400 pesos (65 Euro). It took a bit of convincing to schedule me in on my only available day due to doctor availability, so be aware when planning this. If you have any experiences with doing your STCW training in Manila or else in the Philippines, please share using the comments. You can also contact me for more information! Menno has had the travel bug ever since spending his childhood in the tropics. In 2013 he left his office career and is now diving and sailing the world. He enjoys sharing the beautiful underwater world and exploring remote islands. 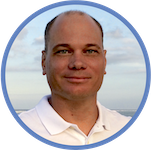 He gets his kicks when he can help fellow travelers have an amazing life-changing experience. Men you’re awesome!! Thanks so much for putting all this info together. I’m planning my trip now to Manila to get this done. I’m already in SE Asia on my way back to the US so this will be an easy stop and a great way to save money on my STCW (BT) training. I do wonder though if the certificate granted by COMPASS is recognised worldwide. Have you had any experience with that? Hey, am wanting to do all the courses and start work on super yachts in Spain. Are all the courses in Manila still viable in Europe/ did you have any problems with validity in other countries? Did you ever apply for a job on a yacht where they were concerned that you did your certificates on the Philippines considering quality etc? Awesome info. Looking for my 4th new career and going to do it in the Philippines. Just wish they had classes in Cebu and not Manila. How can you know if your institution’s version of basic training is actually the official STCW course and that it will be recognized as such? I’ve heard stories of guys who have had to re do their trainings because they weren’t recognized. Hi, all I see there have been quite a few comments on this post. I have been neglecting my website for the last year, so apologies for the lack of any response. But I very much appreciate taking the time to read and comment! And I’m happy to see that it has helped you in getting your STCW. Following completion of my STCW I actually landed a ‘dry’ dive management job in the Caribbean, and have not used it. 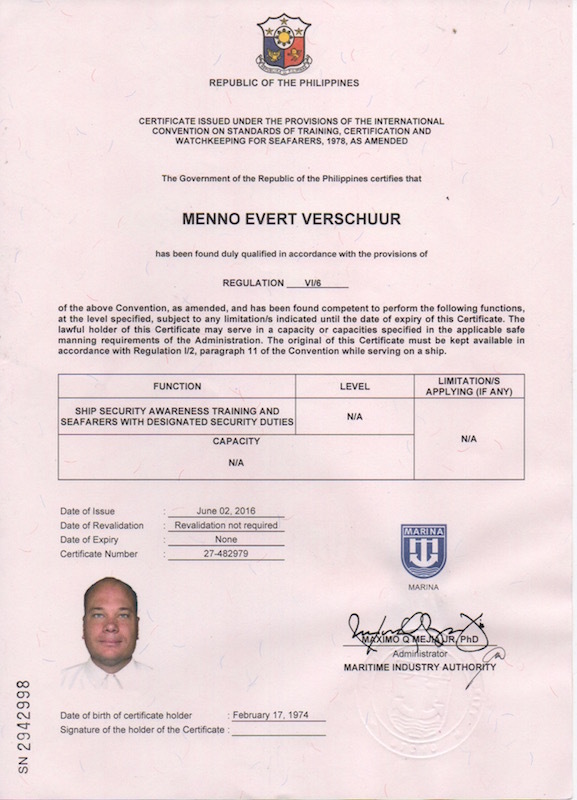 However a friend of mine did his STCW in Manila a few weeks after me, and he has been working on several yachts over the past years so it worked for him. Hi, my name is Menno. I have had the travel bug ever since spending my childhood in the tropics. In 2013 I left my office career and haven't looked back since! Now I'm traveling, diving and sailing the world and would like to share my adventures with you.